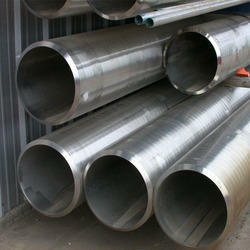 We Aesteiron Steels Pvt Ltd, are is the Leading, manufactures & suppliers of ASTM A554 Stainless Steel Tubes. SS 201 can be welded using all conventional welding techniques. It is used in different kind of severely formed parts, & sliding & roofing for railways cars & trailers. 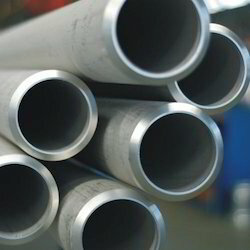 ASTM A554 Gr 301 Stainless Steel Tubes is known for its high strength & excellent corrosion resistance. It is non-magnetic in nature. ASTM A554 Gr 301LN Stainless Steel has higher nitrogen content so as to compensate for the lower carbon content. 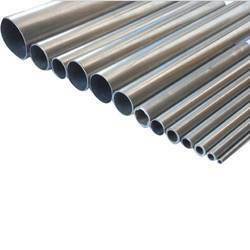 ASTM A554 Gr 302 Stainless Steel has properties like corrosion resistance, oxidation resistance, ease of fabrication, excellent formability etc. ASTM A554 Gr 303Se Stainless Steel is a free machining stainless steel specially designed to provide improved machinablilty. It is non maganetic austenitic stainless steel which is non hardenable by heat treatment. SS 303Se is used for Shafts, valve bodies, valves & fittings. ASTM A554 Gr 304 Stainless Steel is most versatile & widely used stainless steel. It has excellent forming & welding characteristics. It is useful for industrial applications, architectural applications & transportation applications. 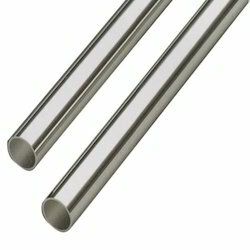 ASTM A554 Gr 304N Stainless Steel has good corrosion resistance & it non-magnetic in nature. 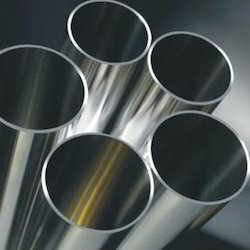 ASTM A554 Gr 304H Stainless Steel is the most versatile & widely used stainless steel. Its properties, weldability & corrosion resistance provide the best performance. 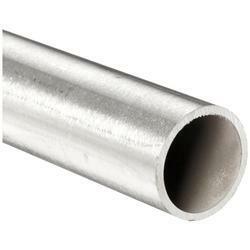 ASTM A554 Gr 304L Stainless Steel Tubes provides an excellent corrosion resistance, outstanding formability & high ease of fabrication. 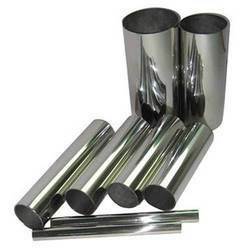 For high alloy steels also austenitic stainless steel is considered as most weldable. ASTM A554 Gr 305 is an austenitic chromium nickel stainless steel with a low rate of work hardening. Typical uses of SS 305 is kitchen utensils, tank covers, appliances etc. 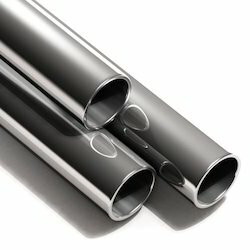 ASTM A554 Gr 309 is a austenitic chromium nickel stainless steel that provides excellent corrosion resistance & heat resistance & good strength at room elevated temperatures. 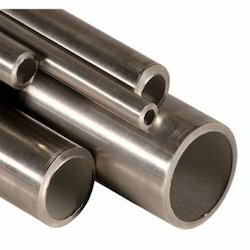 Aesteiron Steels Pvt Ltd, is the leading suppliers of ASTM A554 Gr 309Cb Stainless Steel Tubes. 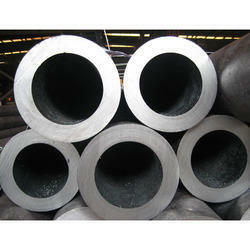 ASTM A554 Gr 309H has high resistance against oxidation. It is commonly found in areas where oxidation is avoided, including furnaces, paper mill equipment & thermal processing. 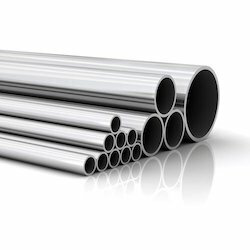 ASTM A554 Gr 309S is an austenitic chromium nickel stainless steel that provides excellent corrosion resistance, heat resistance & good strength at elevated temperatures. ASTM A554 Gr 310 is an austenitic heat resistance steel with excellent resistance to oxidation under midly cyclic conditions through 2000°F. It is often used at cryogenic temperatures. SS 310S is the low carbon version of the alloy. It is useful for ease of fabrication. It displays excellent resistance to oxidation under midly cyclic conditions through to 2000°F characteristics. 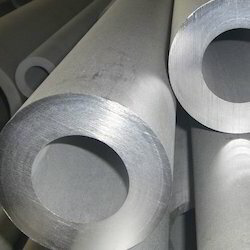 ASTM A554 Gr 314 is highly alloyed austenitic stainless steel that provides good resistance to moist air at elevated temperatures. 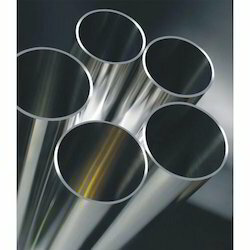 ASTM A554 Gr 316 Stainless Steel is an austenitic stainless steel with a superior corrosion resistance. It is suitable for welding because it has a carbon content in it. 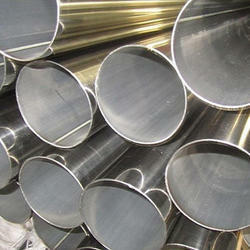 ASTM A554 Gr 316N Stainless Steel is an austhentic stainless steel. It has good corrosion resistance. So it is widely used in many industries. 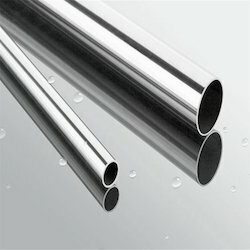 ASTM A554 Gr 316L Stainless Steel is the low carbon version of 316 & has very high immunity from sensitization. It is extensively used in the oil & gas, chemical industries for its cost effective corrosion resistance. ASTM A554 Gr 316Ti Stainless Steel is a titanium stabilised version of 316 molybdenum bearing austenitic stainless steel. 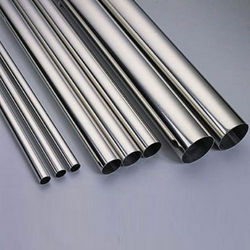 ASTM A554 Gr 317 Stainless Steel is an austenitic chromium-nickel stainless steel has an excellent corrosion resistance. 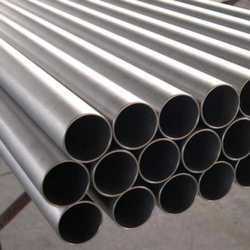 ASTM A554 Gr 317L Stainless Steel is a low carbon version of grade 317 stainless steel. It has the same high strength & corrosion resistance as 317 steel but can produce stronger welds due to the low carbon content. ASTM A554 Gr 321 Stainless Steel is the grade which is useful for applications in the temperature range of upto about 900ºC. It has high strength, resistance to scaling & phase stability with resistance to subsequent aqueous corrosion. 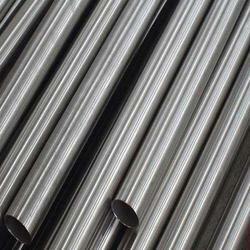 ASTM A554 Gr 329 is Stainless Steel, acid resistant, duplex steel with improved machinability. It has very good corrosion resistance particularly in chloride bearing enivironments. 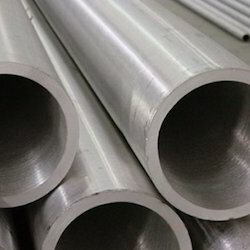 ASTM A554 Gr 330 Stainless Steel is an austenitic heat & corrosion resistance that offers a combination of strength & resistance to carburization & oxidation. ASTM A554 Gr 347 Stainless Steel has improved corrosion resistance over 321 Stainless Steel in strongly oxidizing environments. 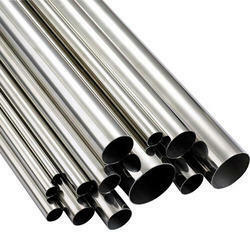 ASTM A554 Gr 347H Stainless Steel has a high carbon austenitic chromium steel. It is useful for application that demand high temperature resistance. ASTM A554 Gr 348 has stabilizing elements such as columbium or tantalum to increase intergranular corrosion resistance. 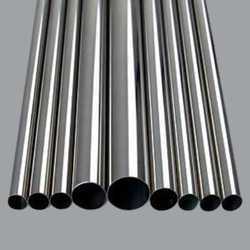 ASTM A554 Gr 403 Stainless Steel is a martenistic stainless steel which has good corrosion & heat resistance. It can be easily hardened by oil fan or air cooling. 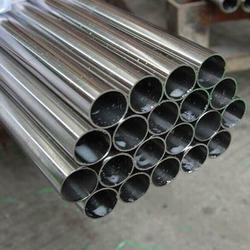 ASTM A554 Gr 405 Stainless Steel is used in as welded condition. 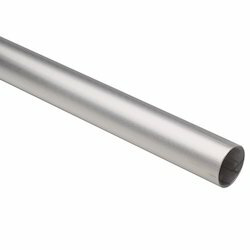 Unlike the other grades of 12% chromium stainless, 405 is not vulnerable to extensive hardening through air cooling from high temperatures. 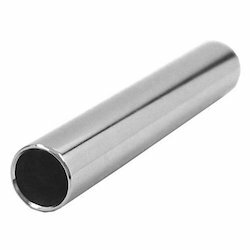 ASTM A554 Gr 409 is a general purpose, chromium, ferritic stainless steel whose primary application is automotive exhaust systems. 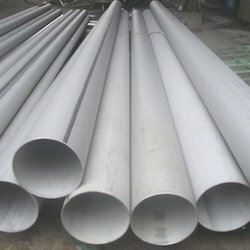 ASTM A554 Gr 410 Stainless Steel Tubes, is widely used in Industrial applications such as Oil & gas, petrochemical, natural gas, general industrial applications etcs. ASTM A554 Gr 410S is the low carbon, non hardening version of 410. It is completely ferritic in the annealed condition & it remains soft & ductile even when rapidly colled. 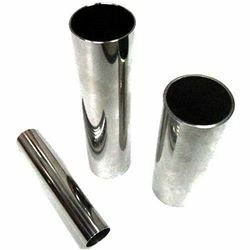 Stainless Steel Tube is used for many applications such as heat exchangers, boilers, chemical plants, water treatments, transportation etc. 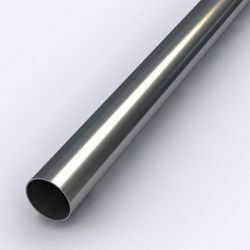 ASTM A554 Gr 904L Stainless Steel is a low carbon high alloy austenitic stainless steel which is widely used in applications where the corrosion properties of AISI 316L & AISI 317L are not adequate.